Are You Using Samsung Android Internet Browser? 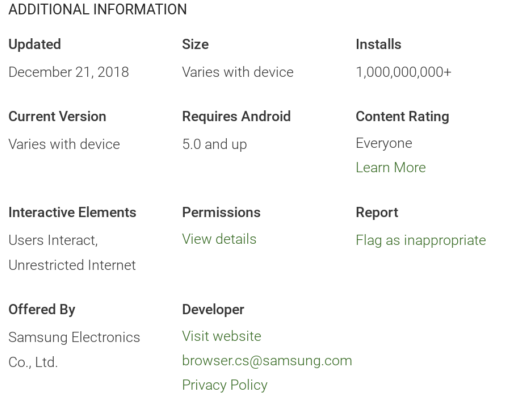 Samsung Internet Browser has just reached a mile stone on Google play store, it now has more than one billion installs. Among other best mobile internet browser out there, Samsung Internet browser standout.